Nice feature. How to do that separate with every feature in one layer full of overlapping polygons? How to build such a filter: for every id make one layer? 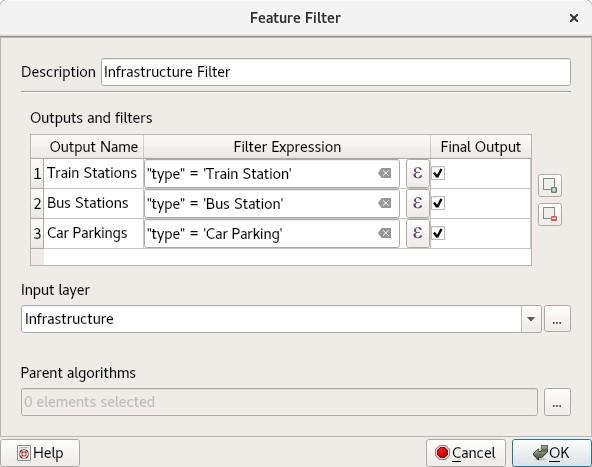 This new algorithm focuses on creating a predefined number of layers (one per filter) and cannot produce a variable number of outputs depending on the number of features or other layer properties. Depending on what problem exactly you are trying to solve, it might also be possible that what you are looking for is a custom rendering order or similar measures. A use case for my work would be to input an externally acquired file-based shapefile or KMZ structure, and then to perform a series of steps with output being a layer. Apply style parameters, CRS etc. This would automate the process of external data acquisition and reduce errors. This sounds like exactly the kind of work that the processing modeler can streamline. Make a new model with a vector layer (polygon) input, connect it to a dissolve algorithm and subsequent other ones as desired, as the very last step apply the layer styling via yet another algorithm. 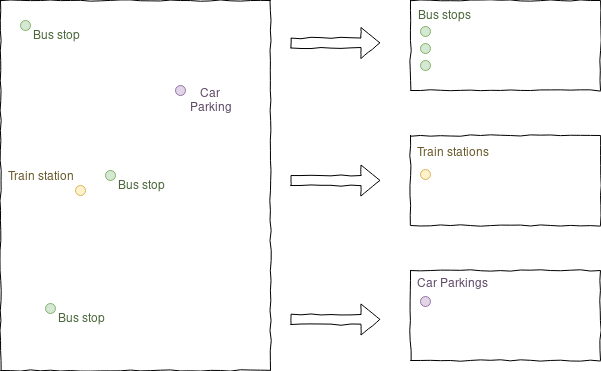 When you start this model, you will be asked for the input layer and for a final destination for the output layer. There will be no temporary layers in a specific layer group, the intermediate process will be completely transparent to the user. Wonderful. Have begun this and should save many hours per project. These projects include running rural broadband wireless coverage models and through a rest api import and layer coverage polygons over digital surface models (e.g. Lidar) terrain and rural housing locations. I can then count dwellings that are covered and iteratively narrow down the locations for transmission towers. Thank you for the wonderful article, I would not have known that this feature has been incorporated otherwise. I have used the Processing Modeler in QGIS 2.18.15 in the past, and had to manually filter features using the Right Click > Filter > Expression > Save As for sub-setting different features within a Shapefile. This sounds like an interesting request, but I am not yet sure I can completely follow you. This would be a very interesting other building block for models: the possibility to loop over a set of feature sources (algorithm ouptuts) or features (the combined polygons of all features in a source) and run another algorithm with each of them as input.